We came across the talented husband and wife team at Khalima Lights when we were designing the interiors for the new Firefly Distillery building. Handcrafted from copper and raw steel, their fixtures are honest, simple and artful. [Shown below: “Bare Firefly Pendant”, “Waycaster Pendant” and “The Pablo".] Click here for their website. Jeremiah Jossim’s landscape series, painted on circular canvases, stopped us in our tracks while on a tour of the Savannah College of Art + Design, his alma mater. [Shown below: “Seascape #5”, “Seascape #4” and “Desert #1.”] Click here for his website. 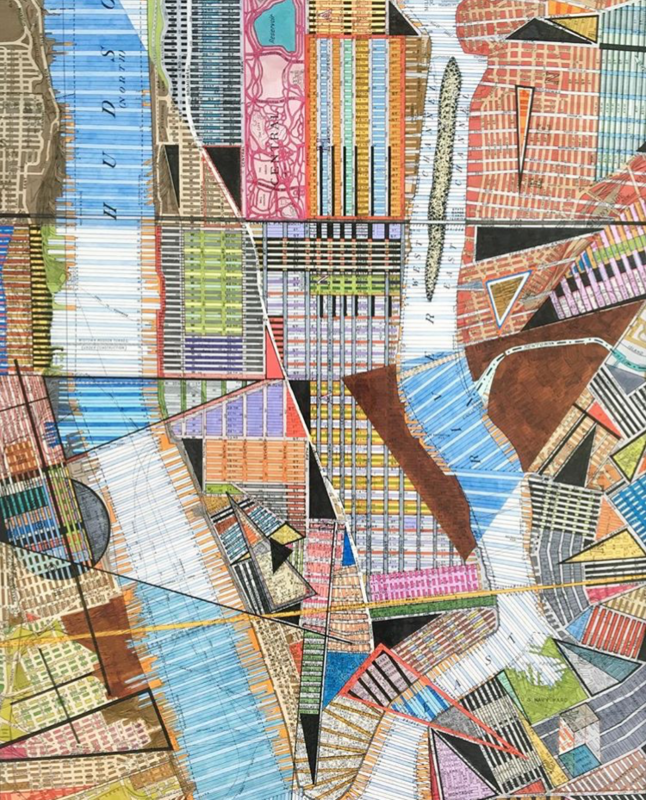 Contemporary and abstract artist, Nikki Galapon is a former architecture school classmate from the Virginia Tech days. 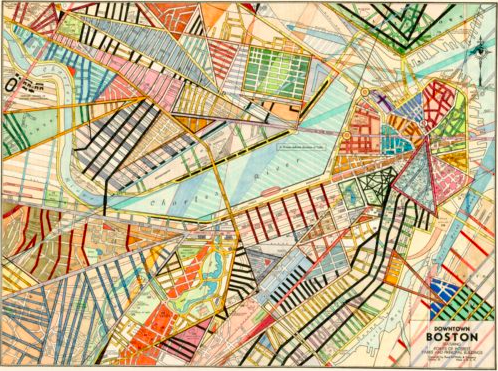 Her maps series, our favorite, layers pen and ink sketches and color over vintage maps. [Shown here: Boston and Lower Manhattan] Click here for her website.